You should hire our agency because we are the best writing agency in the UK. We are reliable writing company with the assurance of quality content at cheap rates. Our clients are from all over the world; this reflects that how trustworthy we are in the writing world. We are men of our words; we deliver what we claim. We offer a range of services, but in short, we do assignment writing and proofreading for our customers. So, you can contact us if you want any services in assignment writing or proofreading. 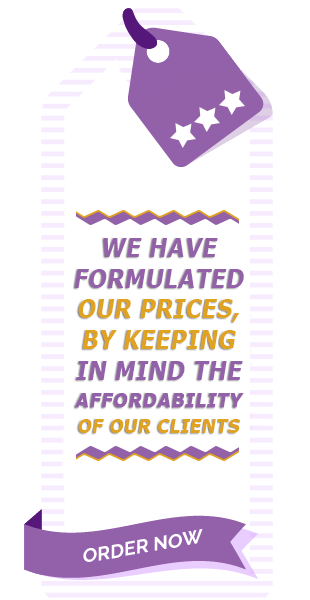 Our prices are quite cheap as compared to other writing agencies. But we do offer seasonal sales and give a flat 10% discount to all first-time clients. What is the procedure to contact you? We are available round the clock, 24/7 a week. Our customers can contact us through email or phone. Once you have dropped your order with us, you can keep in touch with the writer to analyze the progress of your order. Is your online method safe? Of course, it is! Our servers are heavily protected against hackers and frauds. We make sure that your financial information is safe with us after you have paid your due amount; we erase all your details from our system. What time should I expect to get my assignment done? It depends on the quantity of the order assigned. Some orders are small and some are large. So, you would be notified by the concerned representative after placing an order with us. We recommend you to place your orders at your earliest so that you can get your delivery on time. What is the method to pay for your services? You can pay through PayPal or credit cards. Be aware that we strongly condemn the use of illegal credit cards. What if I am not contented with the assignment you have written for me? Our customers are always satisfied with our writing services. In case, you are not satisfied with your order, you can ask for the revision of the content or a refund. How do you hire writers? We have a strict screening test procedure. Our writers have to clear the screening test, written test, and interviews. Then they are finalized for our company.